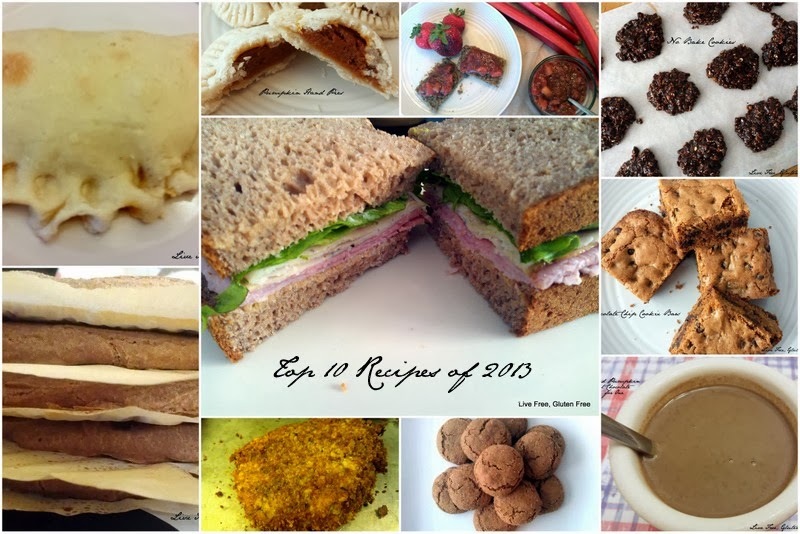 and the most popular recipe of 2013? Well, going through all of the recipes again, made me realize some of my favorites fell through the cracks and kind of went unnoticed by you. :( So, because they deserve a shout out, too, here are a few of my favorites from this past year that didn't make it to the top 10 (and it was really hard to narrow it down). So, what recipes to do you want to see this next year? I am very much open to suggestions! There was no Bountiful Basket this week, but I do have some clementines, pomegranates, lettuce, potatoes, bananas, peppers, and such. In a blender combine the coconut oil, cocoa powder, roasted hazelnut butter, agave, and vanilla. 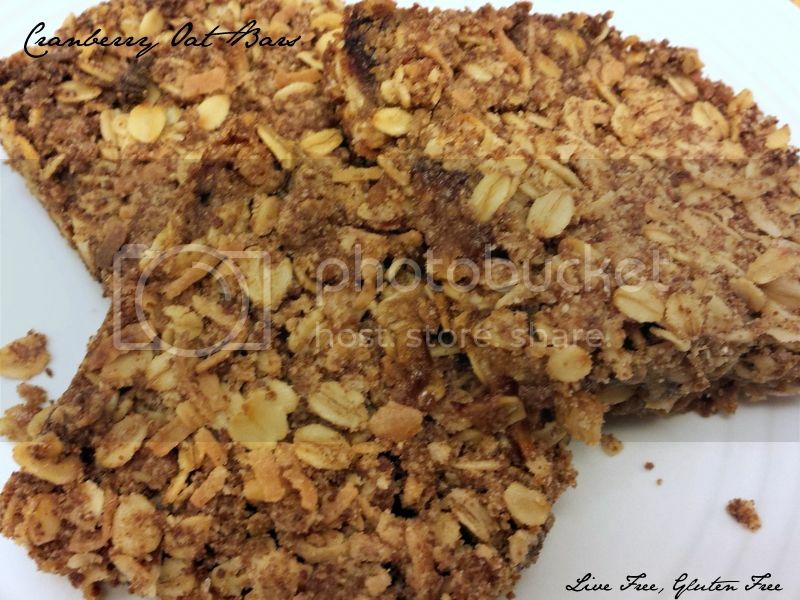 Pour into a greased loaf pan and stir in about 1/2 cup of the hazelnuts. 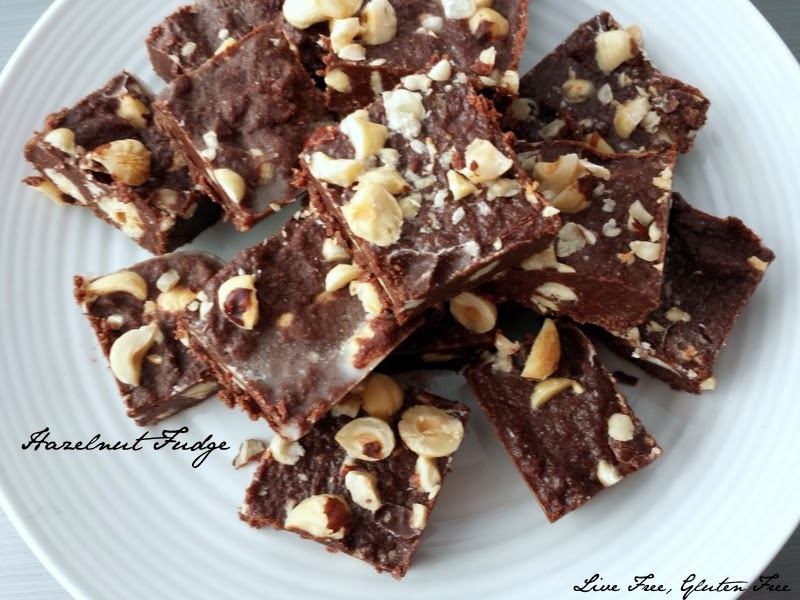 Spread evenly in the pan, then top with remaining hazelnuts and chill in the fridge before cutting into squares and serving. Store remaining fudge in the fridge in and airtight container. This post was shared on Slightly Indulgent Tuesdays and Gluten Free Fridays. dinner: My family's Christmas Party! Do you have people on your Christmas list that are really hard to shop for? I know I do. But as a working mom, let me tell you something...I would love a night where I didn't have to cook. 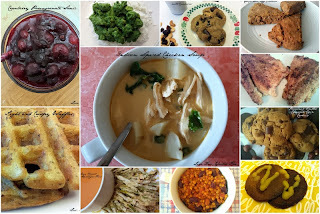 I know I'm a food blogger, and I really love cooking, but some nights I'm really tired and I could use a break. So, if you know someone in that same boat, give them that break. A lot of restaurants offer gift card deals around the holidays, P.F. Chang's is the perfect example on one. P.F. Chang's has a unique environment that combines Chinese and American cultures. The food does the same. The great thing is, it's one of the few Chinese restaurants around here that understands Gluten Free. They have a great Gluten Free menu and understand the importance of cross contamination. Some of my favorite dishes there include their famous Chicken Lettuce Wraps. They are an appetizer, but easily make a whole meal on their own. It's chicken, mushrooms, green onions, and water chestnuts, that are then servied with crispy rice sticks in lettuce cups. Another great dish that they have right now is their Harvest Vegetable Quinoa "Fried Rice". I LOVE Quinoa, so this one is an obvious choice for me. They wok-toast red quinoa with butternut squash, brussel sprouts, corn (I just ask for mine without corn, since I can't have it), snap peas, carrots, zucchini, and green apples, then they top it with a sunny-side up egg....seriously doesn't that sound like the perfect fusion dish? They also have an amazing Gluten-free spicy chicken dish that rivals any that I've had. So, take a break from your shopping, head over to P.F. Chang's for a bite, and while you are there you can finish your shopping with gift cards. They have a deal going right now that when you purchase $100 in gift cards, you get a bonus $20 gift card to treat yourself! So, think about who close to you deserves a P.F. Chang's gift card and go get one for them, and for you, too! And then enjoy some amazing food! 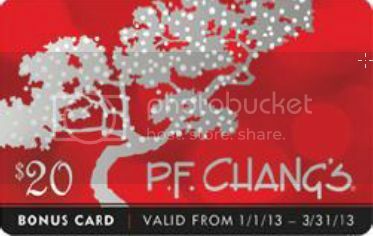 Also check out their site: pfchangs.com, follow them on twitter: Follow @pfchangs, and on Pinterest, too: Follow P.F. Chang’s on Pinterest. When we changed our diet and had to start looking at all of the ingredients on foods we bought, I began changing the brands I used. 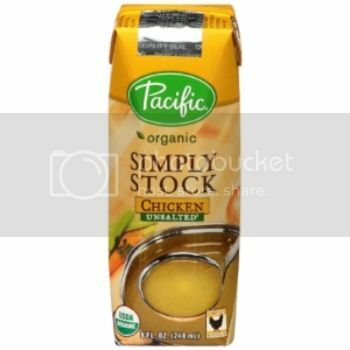 Some of my favorite brands for things like soup and broths become Imagine and Pacific brands. 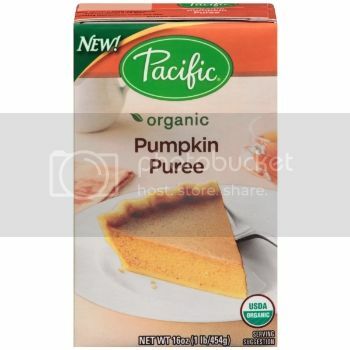 Both of these brands use all organic ingredients and no preservatives, and they came paper containers that stored neatly in my pantry and were reclosable to I could store what I didn't use neatly in the fridge. I never really thought about how it was possible that they could be made and stored without preservatives, I was just grateful that they were. 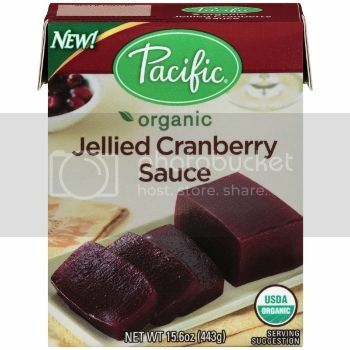 Tetra Pak sent me 3 Pacific Foods products to test out: Pumpkin Puree, Cranberry Sauce, and Chicken Stock. With Christmas just around the corner I thought I'd share some ideas on how to use these products. You can also use it for risotto, such as my Lemon Millet Risotto; or in stir fries, like my quick and easy Chicken Stir Fry, along with so, so much more! Now for the cranberry sauce. This one, of course, can be used simply as cranberry sauce. But you could also try it in recipes that call for jellies or jams. Below is the perfect recipe to use as an example of that. Preheat oven to 350F and grease a 9X13 pan, set aside. In a large bowl, combine the oats, flours, coconut, coconut sugar, and salt. Stir in the shortening until it's all moistened and crumbly. Press half of the mixture into the greased pan. Spread the cranberry sauce over the top, and sprinkle the remaining oat mixture on top of the cranberries, pressing down lightly. Bake at 350F for 45 minutes or until golden brown. Cool on a wire rack, then cut into squares. This post was shared on Slightly Indulgent Tuesdays, Allergy Free Wednesday, Gluten Free Wednesdays, Waste Not Want Not Wednesdays, Whole Food Fridays, and Gluten Free Fridays. Now you can be #CartonSmart, too! 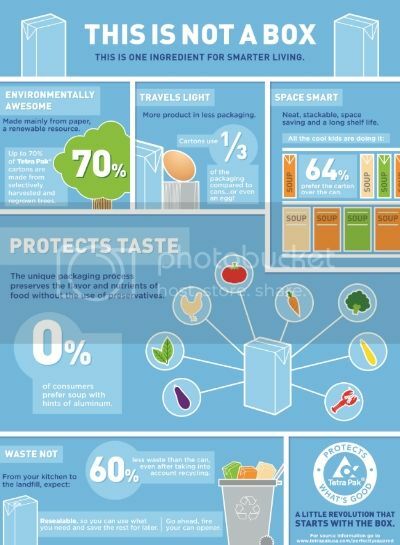 Follow Tetra Pak and their movement Become Carton Smart on Twitter: Tweet @CartonSmart and on Pinterest: Follow #CartonSmart on Pinterest and be #CartonSmart! So how are you going to be #CartonSmart this holiday season? Do you have any recipes or tips on using ingredients such as these Pacific foods ones that you're willing to share? Comment below with tips that you have! If you read my weekly menus at all, you know that one of my favorite snacks if a handful a cashews with dried cranberries. 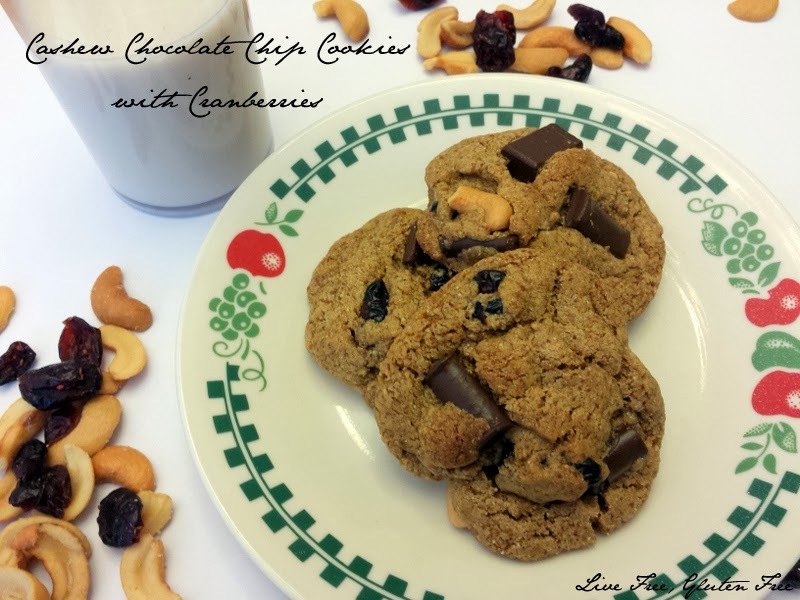 While I was eating this snack one day, the though occurred to me that it would make a great combination in a cookie...so I took my hazelnut butter cookie recipe and modified it a bit and voila my favorite snack is now my favorite cookie, no joke! My boys loved it, minus the dried cranberries (they don't like dried fruit, yet), so either way these are amazing cookies! Heat oven to 375 degrees. In a large mixing bowl, cream shortening, cashew butter, and coconut sugar. Add egg and vanilla, mix well. In a separate bowl, stir together the flour blend, baking soda, baking powder, and salt; add to butter mixture and mix well. Stir in chocolate chips, cashews, and nuts. Roll into 1-1 1/2 inch balls and place on an ungreased cookie sheet. Bake 8-10 minutes or until lightly brown on edges and just set in middle. Cool slightly on cookie sheet before removing and placing on wire rack. Combine the oil and nuts in a blender and blend until smooth. This post was shared on Slightly Indulgent Tuesdays, Allergy Free Wednesdays, Gluten Free Fridays, Allergy Friendly Lunchbox Love, and Whole Food Fridays. We also have clementines, cucumbers, and celery. We'll be in Salt Lake looking at the lights on Temple Square, so we'll either find somewhere to eat there or have something simple like crepes when we get back to my Mother-in-law's. Okay, it's officially winter temperatures outside now (it has been for a while, but this week it isn't even going to hit 32F), so it's time for some hot drinks. I have plenty of hot cocoa and hot chocolate options (Hot Cocoa, Hot Cocoa (just add water), and Spiced Pumpkin Hot Chocolate), as well as a chocolate soup, but nothing in the white chocolate department. So, this recipe remedies that, enjoy! 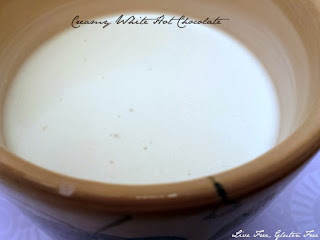 Scald the dairy-free milk in a small saucepan with the honey. Remove from heat and add in the cocoa butter and vanilla and blend in a blender or with an immersion blender until it is well emulsified (if you don't blend it the cocoa butter will separate from the milk). This post was shared on 5-Ingredient Mondays, Slightly Indulgent Tuesdays, Gluten Free Wednesdays, Allergy Free Wednesdays, Waste Not Want Not Wednesdays, Whole Food Fridays, and Gluten Free Fridays. filled with peanut butter, fruit, ham and eggs, etc. Celiac Trek: To Boldly Eat Where There Is No Wheat. The Gluti Girls...and a guy! At 29 years old, I have finally figured out why I have been sick off and on for my whole life...gluten. 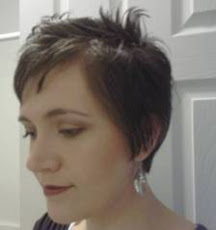 After being very, very ill for a month, I went gluten-free and dairy-free. Shortly after that my children were tested and their intolerances were discovered as well. My older one is gluten intolerant, and my younger one is gluten, casein, and soy intolerant. This has changed our lives, we are feeling better than we ever have. And I'm enjoying cooking more than I ever have, too! Having food intolerances isn't the end of your life, life does go on, and food does still taste good, this blog is proof!